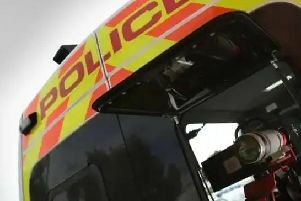 One lane is closed on the M1 southbound between junctions 25 and 24A for East Midlands Airport after the brakes of a HGV lorry locked. Lanes one and two coming onto junction 25 southbound at Trowell are closed and heavy queues are starting to form at the junction. This means there is only one operational lane. A recovery vehicle is on its way however congestion is “starting to build” moving further north on the motorway. Normal traffic conditions will return by about 10am.